Stop self-sabotaging! 9 tips to sleep better and live greater. Are you unknowingly self-sabotaging? These 9 tips will help you sleep better and live better. We work hard to excel at our jobs and maintain our household. We try to compensate overworking with healthier foods and occasional exercise, but many of us ignore one of the most important parts of health and performance: sleep. Good sleep is proven to improve overall health, memory, concentration, creativity, and productivity. Chronic, long-term insufficient sleep however, increases your odds of diabetes, depression, increased stress, cardiovascular disease, even weight gain. Bad sleep happens to good people. Don’t let it happen to you. Can you recall the feeling you have when staying at a hotel? You enter the room and it’s tidy and inviting. Right away your mood elevates and you look forward to climbing into the crisply made bed of the gods. By making your bed every morning, you declutter your space. A decluttered space lowers your level of stress. Taking just two minutes every morning rewards you with an elevated state of mind every night! Research done by the National Sleep Foundation on a representative sample of more than 2,600 men and women, ages 18-85, showed that just 150 minutes of moderate activity a week (that’s only 20 minutes a day!) provided a 65% improvement in sleep quality. Take a walk during your lunch break, walk your dog more/longer, get off the bus/tram and walk the final stop to your destination. You’ll also feel more energized during the day and not to mention it’s also good for your cardiovascular health. The biggest change in your diet that may help you sleep better, be more active, and have more energy throughout your day is staying hydrated. In fact, the #1 source of daytime fatigue is dehydration. Water is essential for almost all of your bodily functions, especially brain function. So, it shouldn’t be a surprise that being dehydrated may disrupt healthy brain function while sleeping. You can’t see it, but your comforter and bed sheets get dirtier every night. Everyone loses moisture in their sleep by sweating. On top of that, skin flakes come off while you toss & turn. House dust mites survive off your skin flakes and live in your bed sheets, comforters, & pillows. Moisture and spider relatives in your bed.. You can probably imagine that this isn’t ideal for a good night’s rest. Therefor, it is important to have your comforters (and pillows) cleaned professionally at least once/twice a year. As a general rule, it’s a good idea to wash your sheets and pillowcases once a week or every two weeks. It’s getting warmer in the Netherlands (yay, summer! ), but sleeping in a warm room isn’t ideal. Overheating is one of the main (physical) causes of bad sleep. The type of bed sheet or linen that you have may be retaining heat and may be making you feel hotter than the already hot summer weather. We should change the material we sleep on to make us feel less hot and sleep more comfortably. The same goes for the colder months. Just kidding! 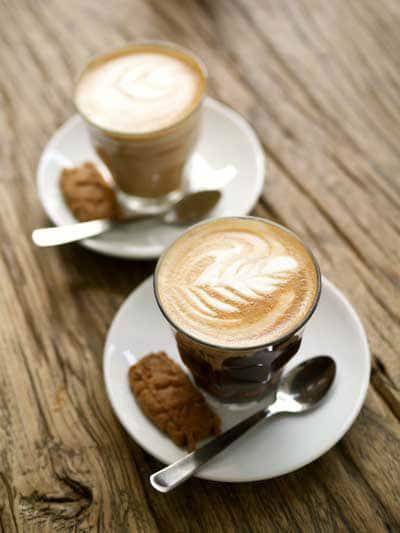 Do avoid caffeine 4 to 6 hours before bedtime though if you want to sleep better. Caffeine is in coffee, soda, iced tea, chocolate, and various over-the-counter medications. It is also a little-known fact that caffeine can stay in the system for up to 12 hours. So try not to have any past lunchtime and have decaffeinated coffee after dinner if you must. By creating a good morning routine for yourself, you can focus more on the important things throughout your day. You start your days goal oriented, efficient, and conscious while maintaining control over the rest of the day. You also sleep better knowing tomorrow is already planned and organized because your mind can rest without worry. Before we are ready to head to bed, the body’s temperature naturally drops, which activates other automatic reactions that prepare us for sleep. When this shift happens, body heat escapes through the skin, which is why you may notice your skin feeling warmer at nighttime. Take a warm shower or bath before going to sleep. The drop in body temperature after stepping out of the shower tends to induce sleepiness. Also make sure the temperature in your bedroom isn’t too cold or too warm, as this could make it more difficult to catch some z’s. The ideal temperature for sleep is believed to be around 18 degrees celsius. 9. Out with the old..
Buy new bedding every 18 to 24 months. Like most clothing (other than, for example, jeans and sneakers), new bedding just looks and feels better. 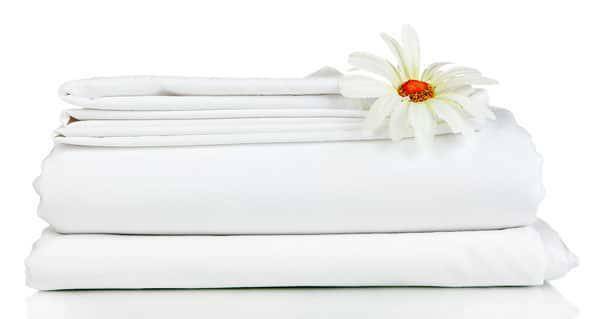 Just like any other fabric, hot water and repeated washing will shorten the life span of your sheets. Can’t wait that long and want a less expensive solution? Simply buying some new pillowcases will completely change the way your bedding feels. Being comfortable definitely adds to a better night’s sleep.